We believe in providing the right website solution for your church. Cut out the months of waiting and get started today with a Ready-To-Go Church Website. Our Ready-To-Go Websites are divided into two categories to better fit your church and budget. Basic Ready-To-Go Websites offer all of the features you need and none of the extras you don’t. Deluxe Ready-To-Go Websites allow you the extra flexibility you want to make this site completely your own. You were fast, easy to work with, competent, and I’m very satisfied with the end product. Excellent service. Good follow-up. Wise design and practical advice. Also, the site is an excellent value for our church. It was very reasonably priced. 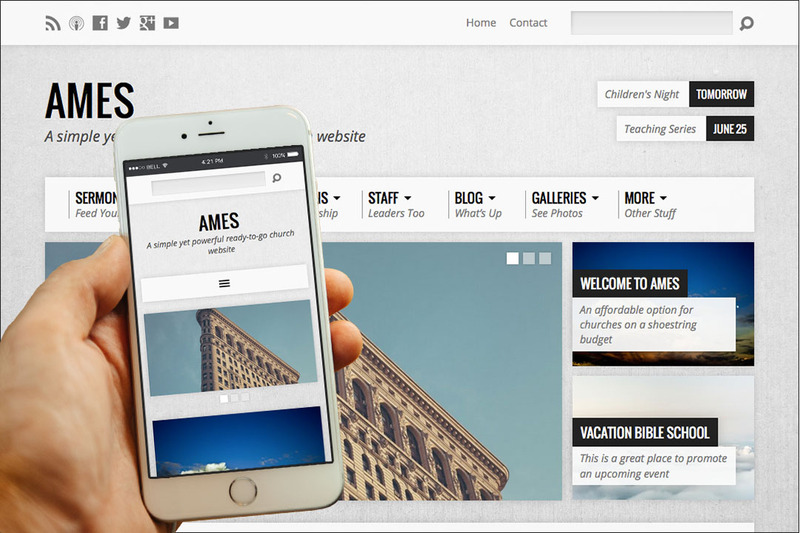 Ames is a powerful website with a rich, visual homepage. Quickly catch the attention of your site visitors with a prominent image slider, custom call-to-action items, and easy-to-read content blocks. 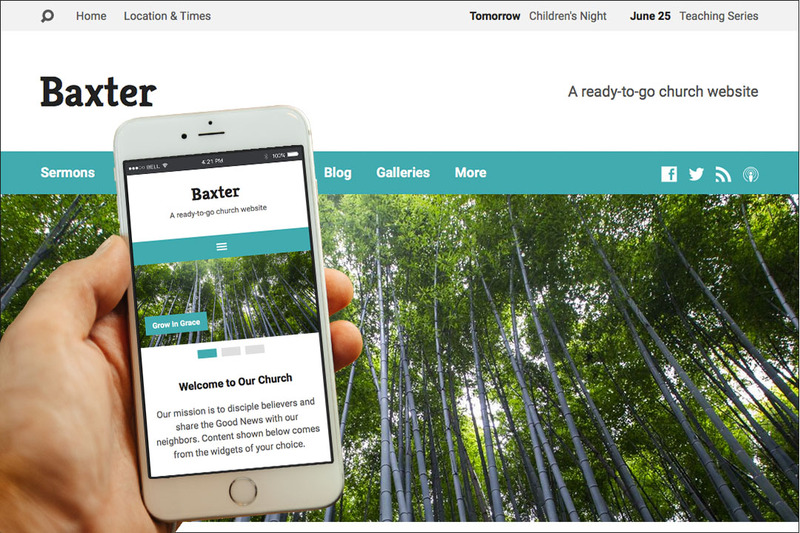 Baxter boasts a clean and focused church website. Keep your content simple and focused with this fullwidth homepage and website designed to get your visitors the right information quickly and conveniently. 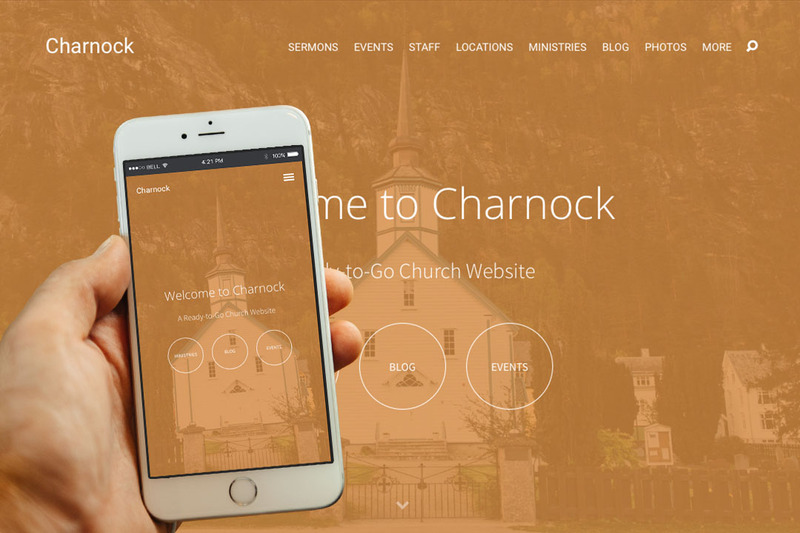 Charnock is the ultimate photograph-heavy website for churches. Capture the spirit of your church and ministry with strong images, parallax motion integration, and beautiful text and color overlays. 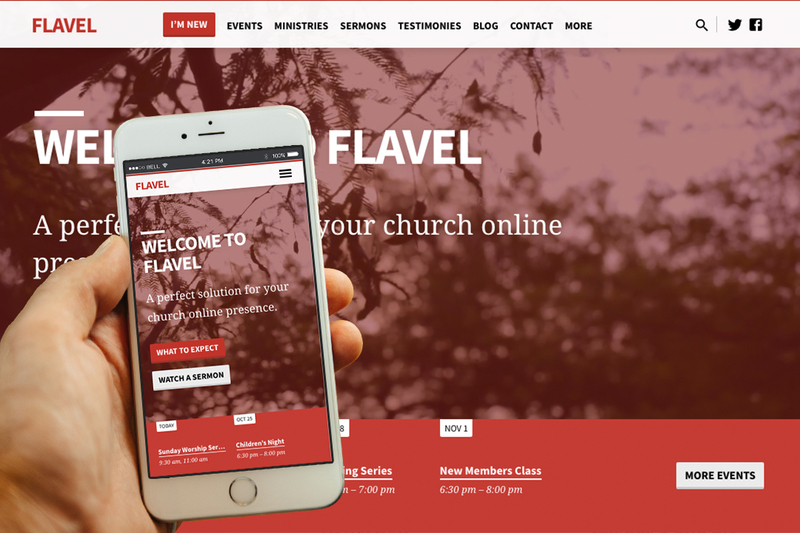 Flavel is a church website built with all of the features you could need. Utilizing modules designed for church websites, you can quickly and easily deliver your content to the user. Special Thanks: Deluxe Ready-to-Go Websites are built with WordPress.org, the world’s premiere open-source content management system; rock-solid church WordPress themes by ChurchThemes.com; the outstanding Church Content plugin for managing sermons, events, people, and locations (also by ChurchThemes.com); Gravity Forms, the best web forms plugin for WordPress; the fantastic WordPress backup, WordPress security, and WordPress maintenance plugins authored by iThemes; and the ongoing sweat equity of our growing team of WordPress implementation specialists, who provide product development, website setup, training, content consulting, and technical support services. 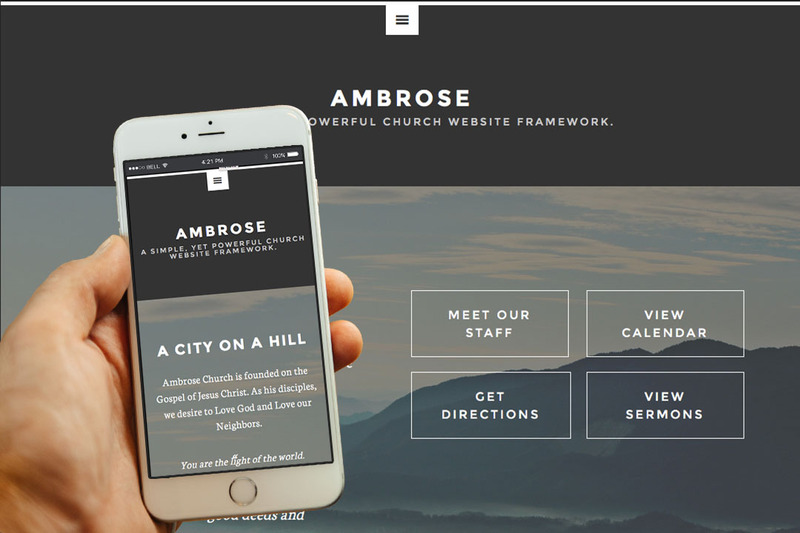 Ambrose provides a clean interface with simple, focused text. Engage your site visitors with a minimal menu and sleek, modern typography. 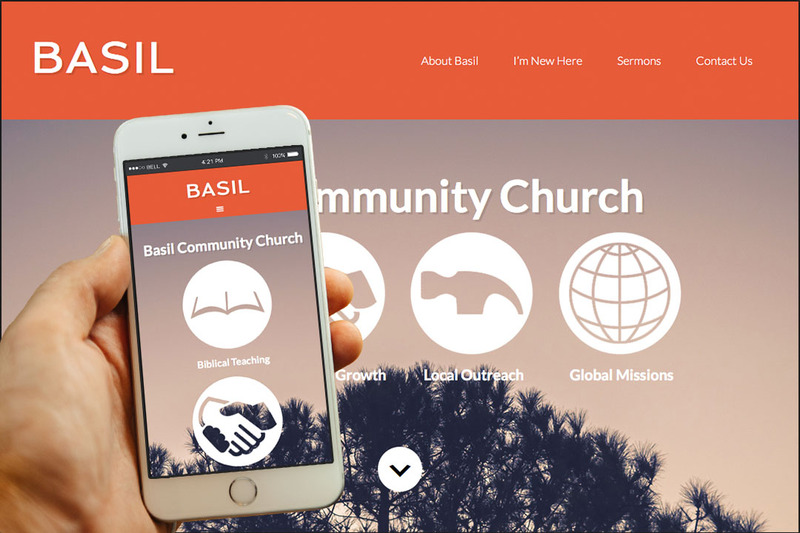 Basil helps you display who you are using icons. Get to the heart of your church ministry through simplified icons and bold colors. 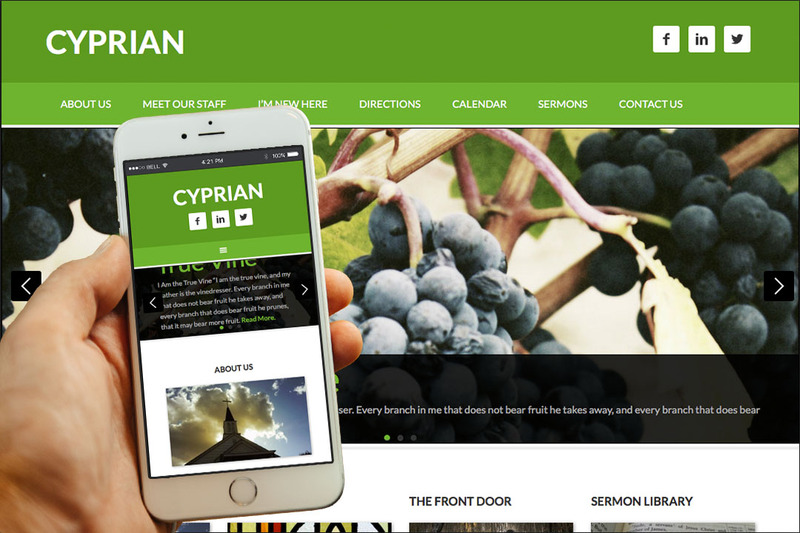 Cyprian displays your content in a compact, robust homepage. Get your information directly to site visitors with this beautiful framework. Declan delivers all of the features you want in a modern layout. 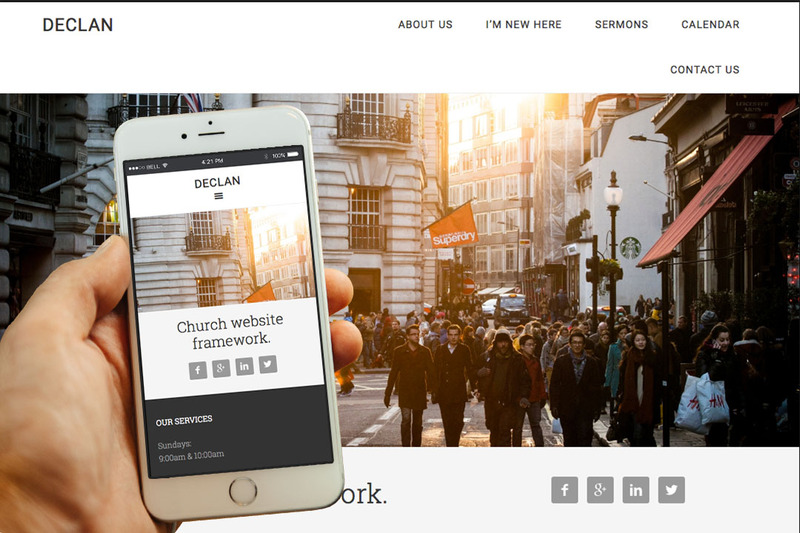 With modern typography and colors, Declan lets your ministry speak for itself. Special Thanks: Basic Ready-to-Go Websites are built with WordPress.org, the world’s premiere open-source content management system; premium WordPress themes by StudioPress; the Sermon Manager plugin by WP for Church, the #1 WordPress sermon plugin; The Events Calendar plugin by Modern Tribe, the best standalone WordPress events management plugin; Gravity Forms, the best web forms plugin for WordPress; the fantastic WordPress backup, WordPress security, and WordPress maintenance plugins authored by iThemes; and the ongoing sweat equity of our growing team of WordPress implementation specialists, who provide product development, website setup, content development consulting, training, and technical support services. Harness the power of the web, for ministry in the digital age without spending a fortune or waiting a decade. Manage your sermon library with a point-and-click interface. We design attractive, efficient and mobile-friendly websites. The sky’s the limit for the number of pages on your site. Engage and connect your church through your website. Get friendly and professional tech support from our team. If you can dream it, we can build it. Ready-to-go websites are a great fit for many churches, but some churches and organizations have unique needs. Fill out the form below to request a call (Monday-Friday 9am-6pm) from one of our team members. We would love to demo a site for you.